As a Ford F150 truck owner, you enjoy the power and towing capacity your vehicle offers. With this in mind, it’s important to note that many F150 transmission problems stem from lack of maintenance or overuse. With later models, the Ford F150 transmission may shift uncontrollably. There could be several causes for this like a faulty sensor or the transmission fluid is low. 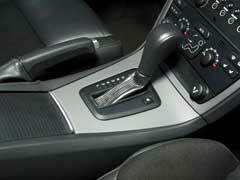 These simple fixes require either a replacement of Ford transmission parts or more fluid. Further, with regular inspections it can help you pinpoint problems with your Ford F150 transmission. As many older models are susceptible to fluid leaks, inspecting the components regularly can help you find them early, which can prevent larger problems from occurring down the road. Some problems may arise that require a more thorough repair. If after inspection, you or your mechanic determines you need a new Ford F150 transmission there are several options available to you. The most expensive is to buy a new part. These can easily run thousands of dollars, especially if you have a mechanic install it for you. You could also do the repair yourself by buying transmission rebuild kits, as these come with all the components needed to do the repair. Lastly, you can buy remanufactured transmissions, which are older parts rebuilt with new components. You can find used Ford transmissions online at many retailers. It’s important you find one that comes with a good warranty. If you have to rebuild your transmission from scratch, check to see if your warranty covers it. Depending on your coverage and the cause of the damage, the dealership may take care of this problem for you. Furthermore, if you have any questions be sure to contact them and they can help you understand the terms of your warrant better. Ford F150 trucks are great in that they provide power and dependability. The biggest cause of their transmission problems don’t originate with their construction, but are due to lack of maintenance. While your truck is durable, it’s important you inspect your components regularly, as this small step can save you much money later.